When we think about explorers and big Travel Channel stars, names like Bear Grylls, David Attenborough and Dominic Monaghan come to mind. With years of experience traveling the globe and coming face-to-face with some of nature’s most wondrous sights, these modern-day globetrotters inspire awe and a certain amount of envy when we look back at their lifetime of experience and adventure. And then you hear about Kingsley Holgate, a South African-born adventurer with a passion for Africa; its beauty and it's people. It’s doubtful that anyone has explored Africa the way Holgate has. 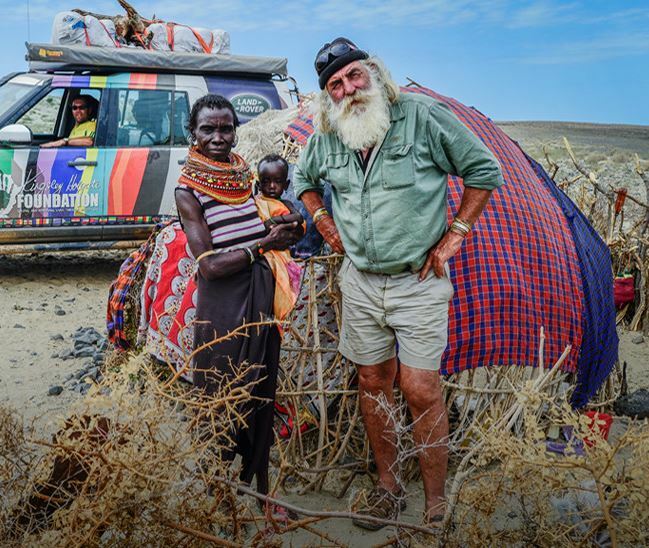 From intrepid expeditions to reaching out with his humanitarian efforts, Kingsley Holgate is Africa’s very own Indiana Jones. 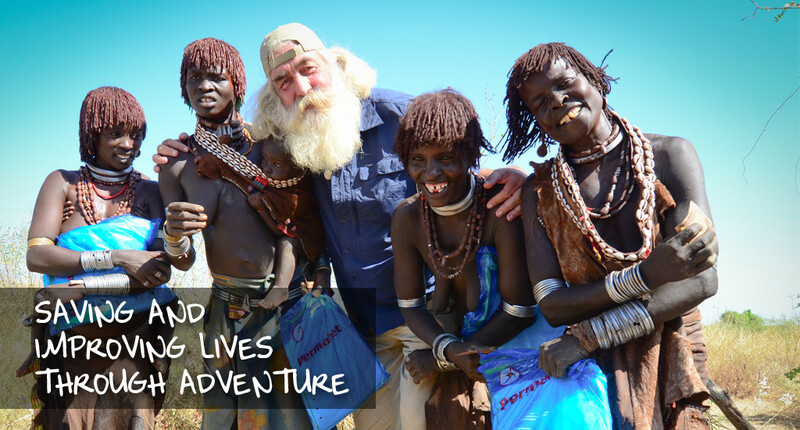 Known as the bearded explorer, Holgate has been described by international magazines as the most traveled man in Africa. Born in 1946 in Natal, South Africa, Holgate explains that as a young boy, he would sit on his father’s knee, listening to stories about explorers such as David Livingstone and Sir Henry Morton Stanley. Inspired and intrigued by their fulfilling journeys, Holgate followed suit and has dedicated his life to tripping around this beautiful continent, extending a helping hand towards those who need it most. Whether it’s boating from Cape Town to Cairo, using only Africa’s rivers and bodies of water to transverse the continent, or circumnavigating the world following the Tropic of Capricorn, Holgate definitely knows how to keep people on their toes. He has followed original routes explored by H.M. Stanley, Livingstone himself and Frederick Courtenay Selous, touching the lives of locals along the way. Holgate has led several National Geographic expeditions and written countless books about his experiences. Holgate explains that a constant thirst for adventure and the people he meets along the way has inspired him to continue his work. His foundation, Kingsley Holgate Foundation, is strongly linked to wildlife, nature and community conservation across Africa. He has dedicated his time campaigning against the poaching of Africa’s endangered rhinos as well as elephants. For instance, one of his campaigns known as “Rhino Art - Let our Children's Voices be Heard,” is undoubtedly Africa's most comprehensive children's conservation project ever. This campaign has also become one of the most successful projects, extending to other African countries affected by rhino poaching and drawing global attention to this ongoing problem. During his lifetime, Holgate established his foundation to save and improve lives through adventure. 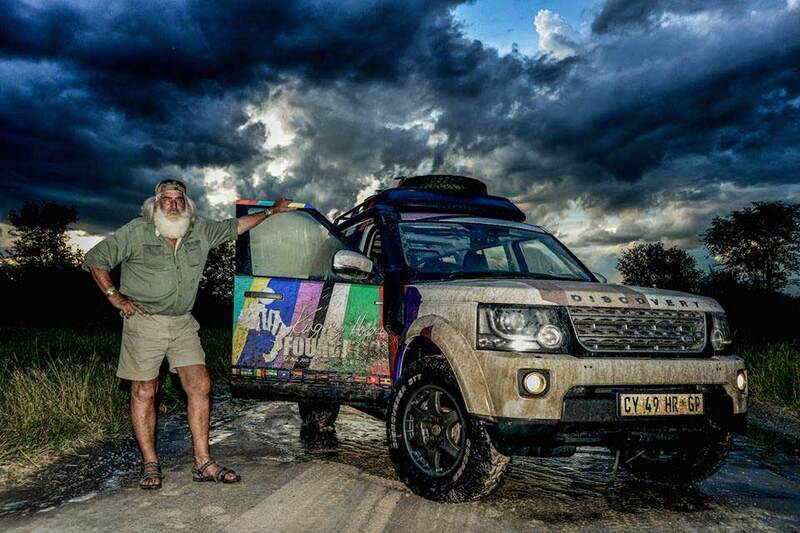 He has been involved in a number of humanitarian expeditions throughout the African continent traveling by dhow, inflatable raft, canoe, foot, bicycle, and Land Rover. Some of his most recent expeditions include 'The Outside Edge Expedition' and the 'Africa Rainbow Expedition.' All these are aimed at giving out mosquito nets to help prevent malaria among some of the worst affected areas in Africa. He also runs another campaign known as the 'Right to Sight' whose main aim is to provide glasses to those with eye problems. As one can imagine, such a life comes with plenty of its own challenges. Holgate’s journeys have seen him up against dangerous wildlife, bandits, pirates, malaria and epidemic cases of poaching. Having overcome these obstacles has made Kingsley Holgate an inspiration to so many people, while still remaining a deeply humble man. Holgate was inducted into the Royal Geographical Society for his extensive knowledge and pushing the boundaries of expedition travel. Kingsley Holgate is a legend in his own right and has certainly increased our thirst for traveling to Africa. His knowledge and never-give-up attitude puts him on our list as one of the most influential travelers of all time. Follow in Kingsley Holgate’s footsteps and discover the costs of an African safari with us. The nifty Safari Cost Estimator helps you create your bespoke itinerary.